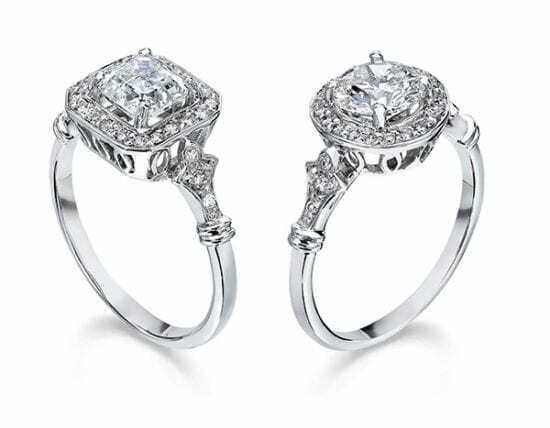 These are both Douglas Elliott Vintage Reprise Engagement Ring settings in Platinum. The left features an Asscher Cut Diamond and the right features a Round Brilliant Cut Diamond. This setting is available in stone sizes ranging from 0.50 carats on up. Available in platinum, 18k yellow gold and 18k rose gold.